Cam Morse (foreground) and Denzel Watts (background), command the backcourt of our second-ranked Flint-area high school boys basketball team, Flint Carman-Ainsworth. 2.) Flint Carman-Ainsworth: The Cavs lost Dorian Grady to Southwestern, but they still return two of the top ten players in the area — guards Denzel Watts and Cam Morse. This could be a breakout season for senior guard Jaylen Randle, who showed some signs of breaking out last season. Flint Powers junior transfer Justice Green will halve to find room in a crowded backcourt, but he has the talent to be a difference maker. 4.) Goodrich: The Martians, under first-year head coach Tim Tenneriello, have a very talented starting group including Grant Smith, Alec Myers, Mitch Rubio and Carlos Fordham. I think this team can win 17 games this season, and certainly no less than 15. Rubio might be the most talented of the group, but Smith is probably the highest impact returner after the loss of all-everything senior Nathan Landsgaard to graduation. Myers may well lead the team in scoring from his point guard spot. Goodrich vs. Beecher, home and away, are must-see games this season. 5.) Swartz Creek: J.D. Tisdale, recent Bowling Green commit, leads the Dragons and has a little more help this season. Junior Marquavian Stephens probably would have started last season if not for a scary medical emergency that required surgery last winter. Tisdale and fellow senior guard Max Cummings make up one of the top backcourts in Mid-Michigan. The Dragons will play for first-year head coach Scott Wright. Mott freshman Coreante DeBerry scored 12 points with seven rebounds and two blocks in Mott’s 71-47 win over Lansing Wednesday night. FLINT, Michigan — For the second year in a row, the first punch thrown in the Mott-Lansing rivalry was a knockout for the hometown Bears in front of a packed house at the Steve Schmidt Gymnasium. No. 1-ranked Mott Community College held Lansing to 25 percent shooting in the victory, 71-47. The last time the Bears suited up against the Stars was last winter in the state championship game in Lansing. In that game, just as in this one, it was competitive early and lopsided late. Like Lansing, Mott struggled from the floor early on before 6-foot-9 freshman Coreante DeBerry gave the Bears a spark with several hard-earned buckets in the post. Reserve guard Chester McFadden and forward Kortez Ross came off the bench to provide to some offense for the team midway through the second half, hitting on a pair of triples to give Mott a comfortable lead, 38-24, heading into the break. The play of the game happened midway through the first half when Mott freshman Devin Foster hit sophomore forward Fred Mattison with a behind-the-back pass on a fastbreak for a two-handed slam. The only thing keeping the game even remotely close was Mott’s inability to rebound in the first half. The Stars won the battle on the glass in the half, 17-9. In the second half, however, Mott dominated in all facets of the game. The Bears actually tallied 37 rebounds after the break, doubling Lansing’s total in the half. Lansing’s shooting woes continued in the second half, hitting on only 7 of 25 shot attempts. Mott forced Lansing into 21 turnovers in the game and contributed to a woeful 5-for-21 from 3-point range. Former Lansing Waverly standout guard Skylar Moore was the only bright spot, at least offensively, for the Stars. He scored 12 points, but managed zero assists, zero rebounds and five turnovers. Former East Lansing High School two-sport star, Devlin Bell, also gave the Stars solid minutes in the first half, but played only sparingly in the second. Mott had three players in double-figures led by DeBerry and Mattison. The frontline duo scored 12 points apiece and combined for 17 rebounds. Freshman guard Malik Albert added 10 points and three assists. The surprise of the night was the play of former Saginaw Buena Vista star George Goodman. A borderline division one prospect in high school, Goodman looked completely lost for Lansing. In high school, he was more of a scorer than a lead guard. Lansing needs him to be a lead guard, and there’s no proof he’s up to it. He wasn’t pushing the ball or attacking the basket like the George Goodman I remember. 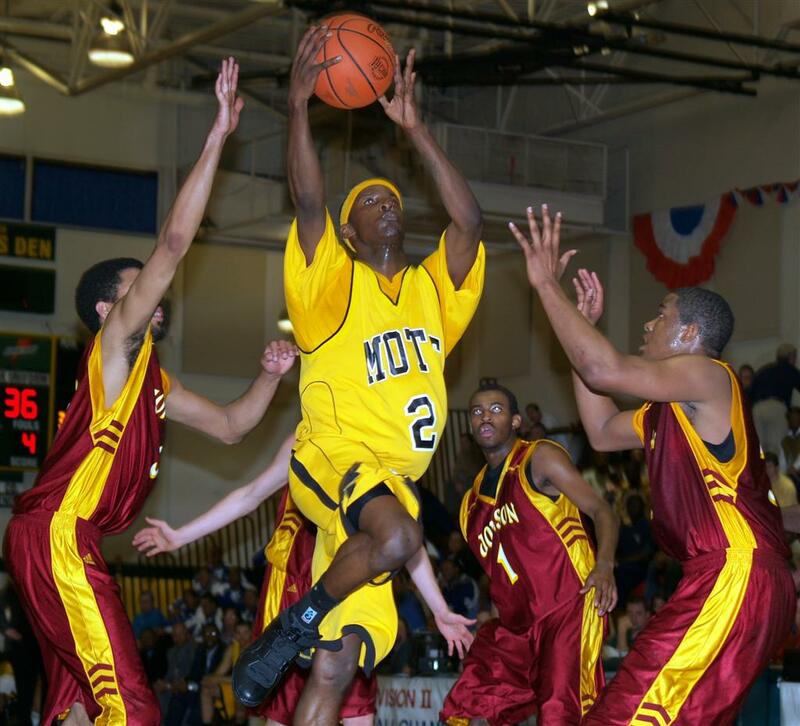 Partial credit goes to Mott sophomore guard Kory Billups, who defended him for the majority of the game. Goodman finished with four made free throws, one assist and three turnovers in 23 minutes. Mott sophomore forward Fred Mattison should be the difference-maker Wednesday night against rival Lansing. Mott Community College (4-0) is unbeaten and alone atop the MCCAA Eastern Conference standings. The Bears will put their record on the line against rival Lansing on Wednesday night at home. The game tips at 7:30 p.m. The Bears had their way with Lansing (2-2) in three meetings last season, including a win in the state championship game. The matchup to watch should be Lansing’s sophomore guard George Goodman against Mott’s freshman Malik Albert. Both are extremely quick and athletic, though Goodman is a better pure scorer. Lansing’s big problem against Mott is simple: The Stars are going to struggle stopping Mott’s big men — Coreante DeBerry and Fred Mattison. DeBerry has been a force in the last two games down low, increasing his points per game average over 13 and hitting his free throws. Mattison has been very good in all four starts, with an average of 23 points and 13 rebounds per game. His combination of strength and quickness could very well be the difference in this game. Mott freshman Coreante DeBerry led all scorers with 18 points and seven rebounds. The no. 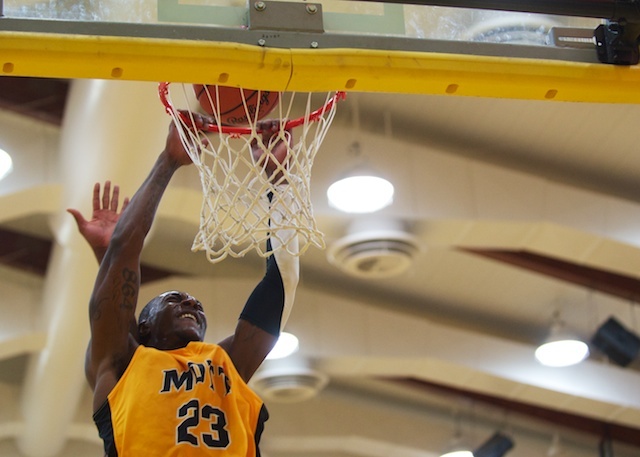 1-ranked Mott Community College Bears totally dominated Jackson Wednesday night before another huge crowd at the Steve Schmidt Gymnasium. Mott’s frontline duo of 6-7 Fred Mattison and 6-9 Coreante DeBerry were unstoppable for the second consecutive game as the Bears shot down the Jets, 85-55. The win is Mott’s 26th in a row. The Bears have not lost a regular season game at home in four years, almost to the day. The program hasn’t lost to a conference foe at home in six years. Mott actually trailed early, down 8-3 after a few mental mistakes led to turnovers and points for Jackson. Mott head coach Steve Schmidt made some wholesale changes in his lineup and immediately changed the tenor of the game with defensive intensity. From that point, it was all Mott. The Bears finished the half on a 30-8 run led, as usual, by Mattison and DeBerry. The ability of those two to get inside position coupled with the ability of the Mott guards to feed the post is going to wreak major havoc in the MCCAA this season. The inside-out game proved too much in the second half, as sophomore point forward Chavis Mattison nailed a couple open triples early in the half. After a couple steals and transition buckets by freshmen Devin Foster and Malik Albert, the game got out of hand. The blowout gave Schmidt a chance to give some key reserves big minutes, including freshman Myles Busby. The former Niles High School standout played excellent defense and showed some range on a made 3-pointer in the second half. For the fourth game in a row, Schmidt played his entire roster in the first half. DeBerry led the way with 18 points, seven rebounds and two blocks. Mattison, came off his 25-point average, with 17 points and eight rebounds. Kortez Ross and Chavis Mattison added 11 and 10 points, respectively. Freshman guard Malik Albert had his best game as a Bear with nine points, six steals and four assists. Mott once again held its opponent to under 40 percent shooting in the game. The Bears forced 23 turnovers and didn’t allow a Jackson player to score double figures. The loss is going to be tough to take for the Jets after their most recent victory over Henry Ford CC, at the time ranked 20th in the national poll. The Bears will go on a short holiday break before Wednesday’s big game at home versus rival Lansing. The game tips at 7:30 p.m.
No. 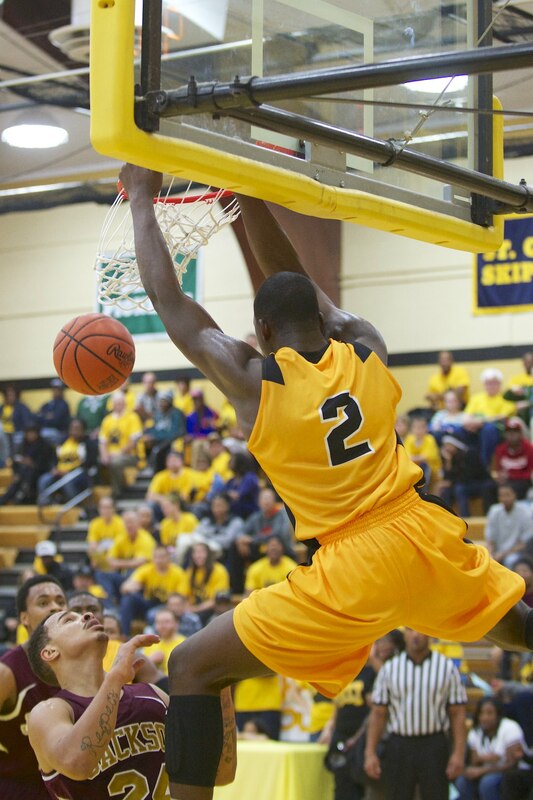 1-ranked ranked Mott will look to improve its record to 4-0 on Wednesday night versus Jackson at home. The game tips at 7:30 p.m.
Mott Community College (3-0) remains atop of the most recent national poll, securing 11 of 12 first place votes. Kalamazoo Valley at no. 16 and Grand Rapids at no. 10 are the only other Michigan teams in the ranking. Mott will welcome Jackson Community College (3-3) into the Steve Schmidt Gymnasium on Wednesday night at 7:30 p.m. Mott sophomore Fred Mattison is averaged 25 points per game so far this season. The Jets are fresh off a 10-point win over Henry Ford CC, at the time ranked no. 20 in the national poll. Tickets are $5 at the door. The game can also be heard on the Michigan Regional Sports Network at MRSN.us. Rank College Record Points 1st Votes Prev. In case you missed it over the weekend, former Henry Ford CC standout James Still, now a junior at Eastern Michigan, was suspended from the school after he pleaded guilty to a violent felony stemming from a pretty grotesque (and random) beatdown of a student in Rhode Island three years ago. The student spent nearly three days in the hospital. The beating came just six months after Still wrote this editorial about Detroit in which he decried the “stigma” that tends to follow players from the nation’s most violent city. Even though Eastern Michigan’s code of conduct for student-athletes should have precluded Still from being on the team until the matter was resolved, he had been practicing and playing with the team this season prior to the suspension. The odd thing, of course, is that he was on the team at all. As Patrick Hayes pointed out in an article on BallInMichigan.com, it seems that Eastern Michigan didn’t even know that its own policy would have precluded Still from being in the program. In the policy, a player facing felony charges is “automatically” dismissed. I can’t imagine that EMU would knowingly break its own rules for a player of Still’s caliber. In this case, ignorance would actually be preferable. 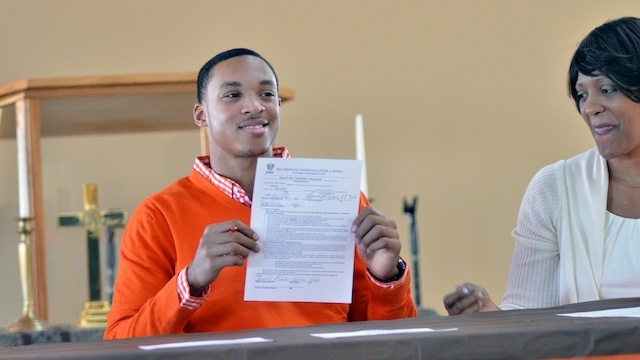 Swartz Creek’s JD Tisdale shows the audience his signed National Letter of Intent to Bowling Green University. FLINT, Michigan — In a very thoughtful signing ceremony in Flint Sunday afternoon, Swartz Creek senior JD Tisdale signed his paperwork for a full scholarship to Bowling Green University in Ohio. Prior to putting pen to paper, Tisdale expressed gratitude to everyone who helped him get to the table. The signing ceremony was unlike any I’ve ever attended. It was held in the sanctuary at Kingdom of Heaven Ministries and there was at least 100 people in attendance — friends, family, coaches, mentors and teammates. As if that number didn’t give you some perspective of what people think of this young man, consider that Darryl Matthews traveled all the way from Kalamazoo to be in attendance. JD played in several tournaments with Camp Darryl over the last two seasons, especially during off weekends with the Mid-Michigan Lakers. Tisdale spoke to the audience about the most important people on his journey, including his mother, Tonia, and his mentor, Marcellus Miller. His mother also spoke about her son’s strength through a trying time in his young life after losing his father to pancreatic cancer in 2009. 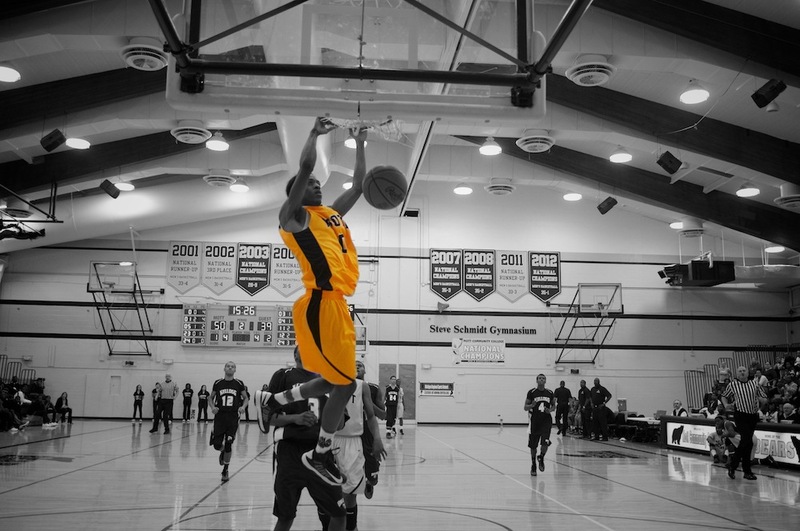 As a junior, Tisdale, a 6-5 point guard, led his team in rebounds, assists, steals, blocks and was second in points. Tisdale becomes the first Flint Metro League basketball player to earn a D-1 scholarship in at least a decade. Swartz Creek is poised to be one of the top teams in the Flint area this season. 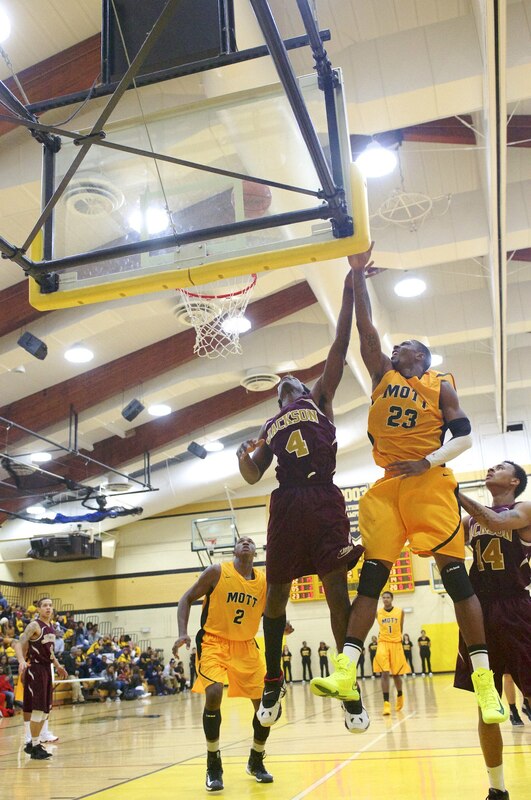 Mott sophomore Fred Mattison has scored more than 20 points in each of the team’s first three games. FLINT, Michigan — No. 1-ranked Mott Community College showed its fans on Saturday afternoon a rough draft of a brand new script with, what we all hope, will have a familiar ending. Mott leaned almost exclusively on its frontline duo of 6-6 Fred Mattison and 6-9 Coreante DeBerry en route to a 79-61 victory over the visiting Bruins from Kellogg CC. The Bears never trailed in the game, but didn’t grab hold of a comfortable lead until midway through the second half. Leading by seven at the break, Mattison and DeBerry completely dominated the paint in the second half. DeBerry started for the first time this season and, despite losing major minutes to foul trouble, scored 20 points with five rebounds and two blocks. His heavy lifting was done in only 16 minutes on the job. Mattison, as he has through Mott’s first three games, dominated around the basket. The sophomore transfer scored 29 points with 25 rebounds. 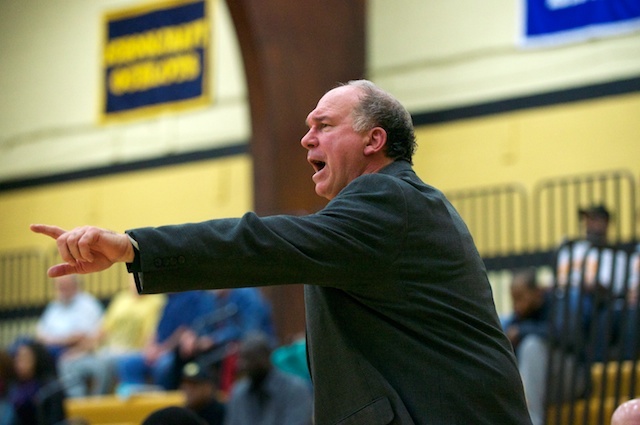 In a post-game interview with MRSN’s Bill Schnorenberg, Mott head coach Steve Schmidt didn’t need a record book handy to make a pretty bold claim — “…that has to be a record,” he said. The efficiency of Mattison and DeBerry is impressive, to say the least. The pair combined to shoot 18-for-25 from the floor. DeBerry, alone, shot 10-for-13 from the foul line. Mott’s only other player in double figures was Malik Albert, who added 11 points and three assists. Darius Holman led Kellogg with 16 points and Nathan Taylor added 15. The Bears shot 45 percent from the floor and held the Bruins to 35 percent shooting in both halves. Every player on Mott’s 11-man roster scored and everyone played at least five minutes. After three games, all wins, it’s becoming clear that this Mott team will bear a scarce resemblance to any in the recent past. Schmidt has talented guards, but this team is going to win games in the post. Mott (3-0) will return to action on Wednesday night at home against Jackson. The game tips at 7:30 p.m. and will be broadcast live at MRSN.us. Before every Saturday home game, basketball fans can listen to the Steve Schmidt Show at 2:30 p.m. on the Michigan Regional Sports Network at MRSN.us. You can also listen to archived shows from earlier in November. No. 1-ranked Mott is 2-0 and in a first place tie in the MCCAA Eastern Conference heading into Saturday’s game. Kellogg is 2-2 in the Western Conference. The game tips at 3 p.m. at the Steve Schmidt Gymnasium in Flint. Tickets are $5 at the door. Former Mott All-American Jeremie Simmons. Mott’s back-to-back national championship teams from 2007 and 2008 are the subject of a recent feature in the Flint Journal. The teams are being inducted in the Greater Flint Sports Hall of Fame. The teams’ coach, Steve Schmidt, is already a member of the hall. With a roster flooded with elite talent, the Bears captured back-to-back national championships in 2007 and 2008 with a combined record of 70-5 overall. Nine players signed NCAA Division I basketball scholarships after their sophomore campaign while six went on to play at the Division II level after leaving Flint from those teams. Longtime Bears sideline leader Steve Schmidt called the 2007 unit “the best team I’ve ever coached” and often reflects on what may have happened if he was given more time to work with the squad. To say that those two squads were loaded is an understatement the size of Schmidt’s trophy case. Kevin Tiggs and Jeremie Simmons had talent to spare with more desire to win than any two players I’ve ever been around. In the 2007 national tournament run, Schmidt put an all division one starting five on the floor. One of those starters (Tiggs) was the national player of the year; another (Simmons) would win it the following year. The 2007 championship team is the best in Mott’s history, and I don’t think that’s going to change anytime soon. I hope it does, though.